This is a 4-week unit specially designed for toddlers to teach the story of Jesus’ birth to young children with age appropriate activities. 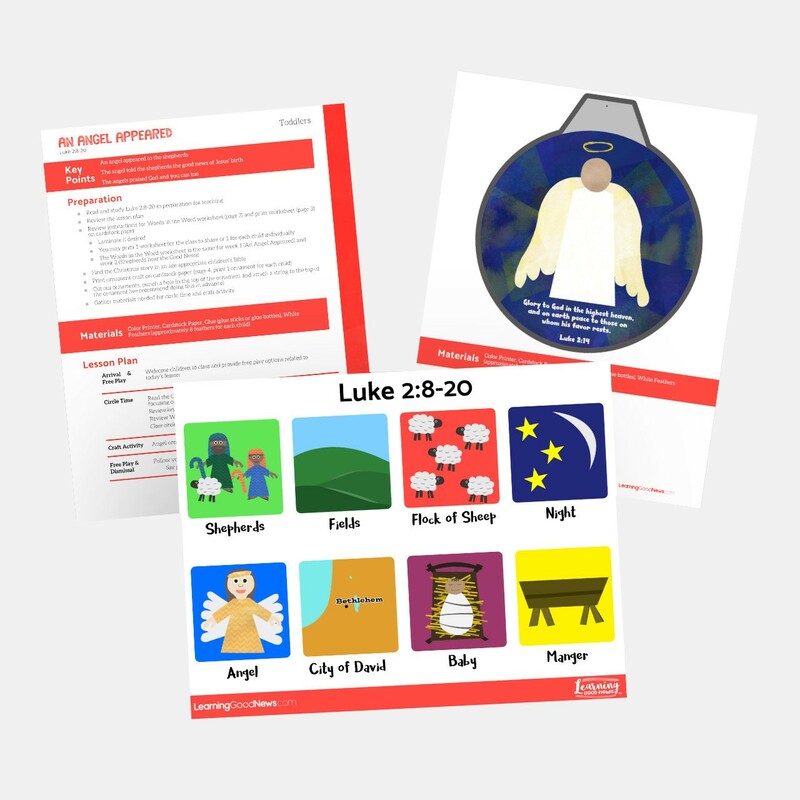 Each week focuses on a different part of the Christmas story and includes a lesson plan, activity and a craft intended to work on developmental skills while teaching the Christmas story. The lesson plans also include parent handouts with information for parents about the lesson and activities each week. You can buy 1-week lesson plans individually or together as a 4-week unit. There are separate 4-week bundles available for toddlers (recommended ages 1-3 years old) and preschool age children (recommended ages 4-5 years old). Check out our Christmas Sunday School unit. This is a 4-week unit specially designed for toddlers to teach the story of Jesus’ birth to young children with age appropriate activities. Each week focuses on a different part of the Christmas story and includes a lesson plan, activity and a craft intended to work on developmental skills while teaching the Christmas story. The lesson plans also include parent handouts with information for parents about the lesson and activities each week. You can buy 1-week lesson plans individually or together as a 4-week unit. There are separate 4-week bundles available for toddlers (recommended ages 1-3 years old) and preschool age children (recommended ages 4-5 years old). Merry Christmas!